Echoing the very real threats of today’s world, Anna’s Secret Legacy is an intriguing work of historical fiction. A 1940’s Love story that grabs the reader and doesn’t let go—right up through the book’s riveting ending. More, with the current focus on the potential for good through stem-cell research, combined with the opposing threat of biological warfare that continues to increase across the globe, this story about what was going on behind laboratory doors 70 years ago is something that will be both enticing and relevant to today’s readers. 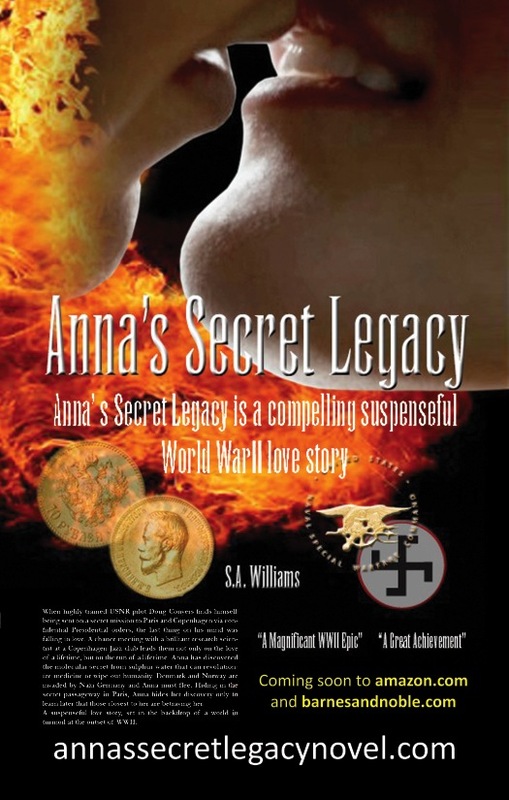 This entry was posted in Anna's Secret Legacy, Love Affair, Scientific Discovery, Uncategorized, World War II and tagged Anna's Secret Legacy, Molecular Secret, Stem Cell Research, World War II. Bookmark the permalink.